When you stay at Treasure Oasis Hotel in Siem Reap, you'll be in the historical district, a 5-minute drive from Royal Garden and 8 minutes from Pub Street. 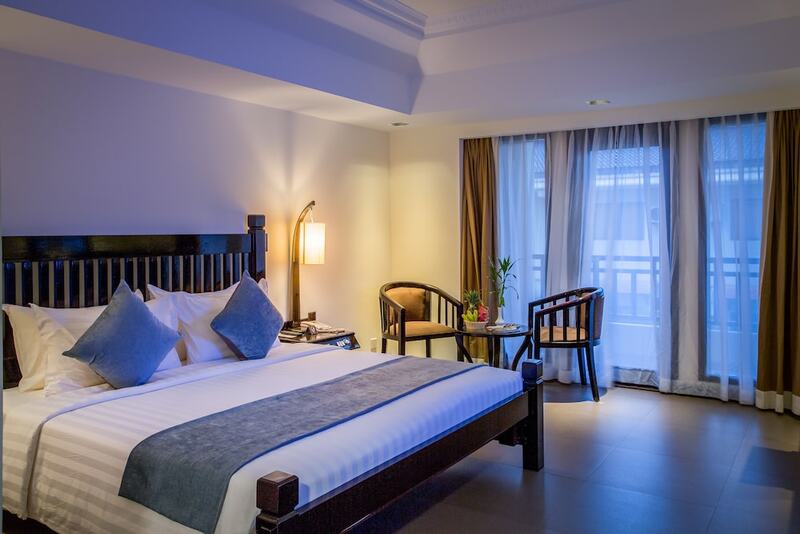 This 4-star hotel is 5.4 mi (8.7 km) from Angkor Wat and 1.1 mi (1.8 km) from Angkor Night Market. Treat yourself to a stay in one of the 85 individually decorated guestrooms, featuring fireplaces. Your pillowtop bed comes with premium bedding. Rooms have private balconies or patios. Complimentary wireless Internet access keeps you connected, and satellite programming is available for your entertainment. Pamper yourself with a visit to the spa, which offers massages. You're sure to appreciate the recreational amenities, including a health club and an outdoor pool. This hotel also features complimentary wireless Internet access, concierge services, and babysitting/childcare (surcharge). Getting to nearby attractions is a breeze with the area shuttle (surcharge). Enjoy a meal at the restaurant or snacks in the coffee shop/café. The hotel also offers room service (during limited hours). Wrap up your day with a drink at the poolside bar. Buffet breakfasts are available daily from 6:00 AM to 10:00 AM for a fee. Featured amenities include a 24-hour business center, limo/town car service, and express check-in. Event facilities at this hotel consist of a conference center and a meeting room. A roundtrip airport shuttle is provided for a surcharge (available 24 hours), and free valet parking is available onsite.